ALIEN abductees share horrifying similarities of their abduction experience, according to a bizarre documentary. Millions of people from around the world claim to have been abducted by extraterrestrials. 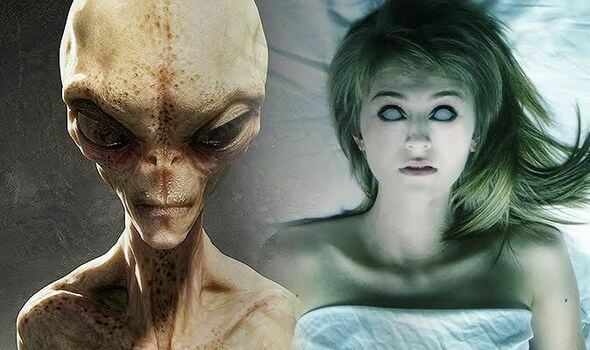 The typical testimony from abductees describes how they are taken from their beds, homes, cars, and other locations and transported to spaceships manned by small grey aliens with oversized black, slanted eyes. Memories of the abduction include being unable to move, hearing buzzing sounds, electrical sensations and difficulty breathing due to pressure on the chest. In Netflix documentary Top 10 Secrets and Mysteries narrator Robert Russell said: “In analysing the statements of people who claim to have encountered or been abducted by aliens, there are similarities. However, some experts offer a different explanation for the alien abduction phenomenon: sleep paralysis. Sleep paralysis is a known, documented condition which is when someone consciously awakens from sleep during the night but their body is completely immobilised. In a typical sleep-paralysis episode, a person wakes up paralysed, with senses a presence in the room. They feel fear or even terror and may hear buzzing and humming noises, or see strange lights. A visible or invisible entity is even felt on their chest, shaking, strangling or prodding them. Attempts to fight the paralysis are usually unsuccessful. The phenomenon is experienced by millions of people, even larger numbers than polls conducted asking about alien abduction experiences. Aspects of the experience reported by those who have had a sleep paralysis experience overlap considerably with those of alien abduction. This theory would not argue that all abductions are because of sleep paralysis but may go some way to explaining some accounts.